Toyota Tacoma vs Toyota Tundra: Which is the right truck for you? 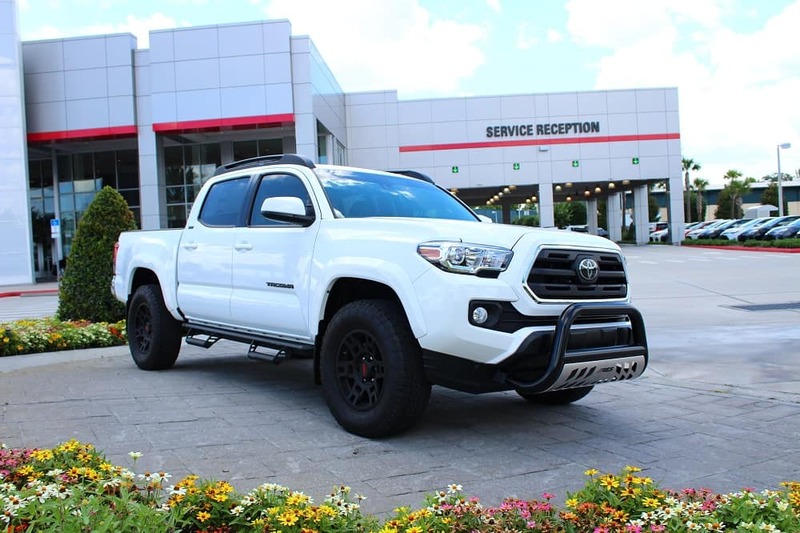 Thinking about popping into Toyota of Orlando to take home a new Toyota truck? When you get here, don’t be surprised if you’re torn – our two new truck options both have a lot to offer, and many truck drivers find themselves unsure as to which best suits their drive time needs. 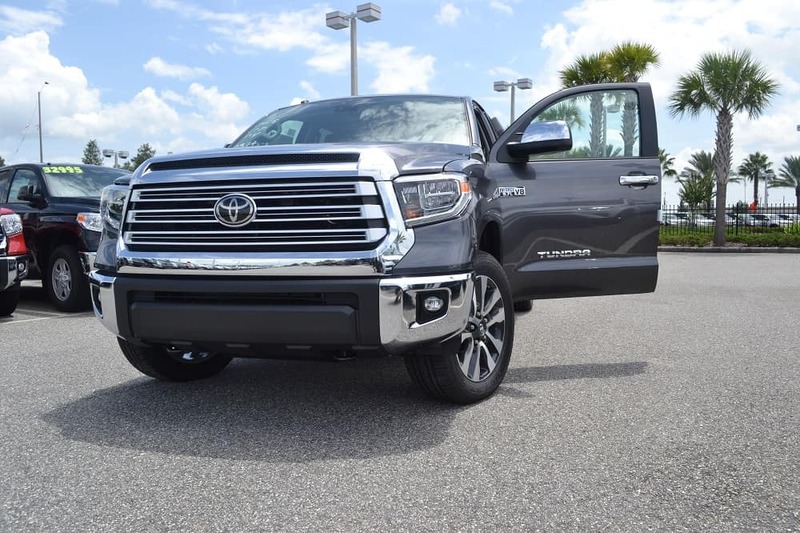 We’re here to help – we’re breaking down the main differences between the Orlando Toyota Tundra and Toyota Tacoma so you can shop with confidence and decide which to put in your driveway! Should you take home the new Toyota Tacoma? We’re going to break it down for you in terms of categories and remember – specific features depend on specific models, so don’t be afraid to scope all of our online inventory if you’re still not sure what’s going to work. Let’s get started! Price: The 2018 Toyota Tundra has a starting MSRP of $31,420. The 2018 Toyota Tacoma, on the other hand, kicks off at $25,400. It’s a smaller truck than its sibling, so it’s no surprise that it has a lower starting MSRP. The new Toyota Tundra comes with the option of a 4.6L V8 (310 horsepower and 327 lb-ft torque) or 5.7L V8 (381 horsepower and 401 lb-ft of torque). The 2018 Toyota Tacoma comes with the option of a 2.7L 4-cylinder (159 horsepower and 180 lb-ft torque) or 3.5L V6 (278 horsepower and 265 lb-ft torque). Obviously, both present solid options that you can choose among to best fit your drive time needs. Additionally, both offer cool performance technology like Variable Valve Timing with Intelligence to improve fuel efficiency and also give you a bit more power. When it comes to putting the pedal to the metal, the Tundra takes the cake (after all, it has a bigger and more powerful engine to get you going). However, the Tacoma pulls ahead in terms of fuel efficiency – it gets 18/22 mpg while its larger sibling gets 15/19 mpg. Towing: Since it’s rocking a larger engine, the 2018 Toyota Tundra can obviously tow more. It can pull up to 10,000 lbs while the Tacoma manages a still-impressive 6,400 lbs. You can find long, regular, and short bed options in both trucks to better suit your hauling needs, too. Interior space: Since it’s a larger truck, the Tundra does offer more wiggle room inside the cabin. However, you can seat up to five inside both of these Orlando Toyota trucks. When it comes to parking and storing inside a garage, you’ll find more maneuverability with the Tacoma since it’s more compact than its sibling. Does the 2018 Toyota Tundra suit your needs? Off-roading: The Orlando Toyota Tacoma takes first place in this category – it’s renowned across the world for its off-roading capabilities. You’ll find more off-road packages and accessories up for grabs, and it’s also smaller and lighter than the Tundra, giving it an obvious advantage. However, the best way to choose a new ride is to get behind the wheel yourself and see which one suits you better. Why not take both of these Orlando Toyota trucks for a test drive? They’re waiting for you at our dealership and we’re open seven days a week at 3575 Vineland Road, just off I-4 near the Millenia Mall! 0 comment(s) so far on Toyota Tacoma vs Toyota Tundra: Which is the right truck for you?